Ships tomorrow if you order in the next 19 hours 7 minutes. When you don't have control over your bladder, it can feel like you don't have control over your life. Whether struggling with bedwetting as a child or incontinence as you age, poor bladder control is not only inconvenient, but can also be embarrassing and affect quality of life. To get life back on track, support your bladder with Causticum 30c from Boiron. Causticum 30c is a homeopathic supplement that may provide support for issues related to bedwetting and bladder incontinence. Benefits for the bladder may come from causticum's actions on nerves and muscles, and it has been used for a variety of conditions affecting such structures. Boiron's homeopathic products are formulated based on homeopathy's two major principles: 1) Like treats like and 2) Less is more. Homeopathy uses highly diluted natural ingredients to stimulate the body's response to illness or imbalance, working with the body instead of against it. 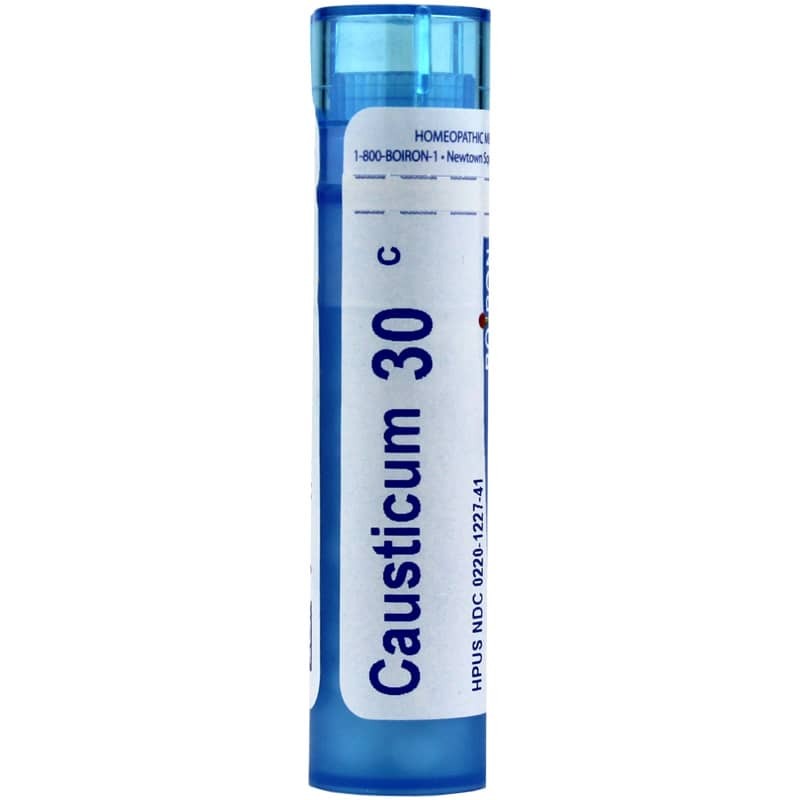 Causticum 30c contains approximately 80 easy-to-take pellets and is suitable for adults and children two years and up. Get more control of your bladder - and your life. Order Causticum 30c. If symptoms persist more than a few days, contact a licensed practitioner. As with any drug, if you are pregnant or nursing, seek the advice of a healthcare professional before using this product. Keep out of the reach of children. This product works very well for the disorder indicated on the package. I am constantly amazed at the speed of service from NHC. This homeopathic little pellets are easy to take & they do work. Thank you for fast and free delivery. I ordered Causticum 30C on Saturday and it was delivered on Monday. I would recommend this company. For my body this is fabulous. For 60+ years I have had bronchitis or or pneumonia every winter. I now use this when it is coming on and I do not need to suffer for weeks.